BANGI, 25 Sept 2012 – Researchers of old manuscripts are indebted to an Australian academic who compiled information about the known historic Malay texts and inscriptions on the Internet and wrote software for them. Curator for the Malay language books in the British Library in London, Dr Annabel Teh Gallop said as a result of the efforts of Dr Ian Proudfoot and many contributors from around the world, all parties can access digitised information on old Malay manuscripts at no charge at the Malay Concordance Project (MCP), mcp.anu.edu.au /. Much of the material in the MCP have been issued for the first time in cyberspace. She said the late Dr Proudfoot who passed away last year, also created computer software to facilitate the understanding of the differences between the Malay Muslim and Western calendars. She praised Dr Proudfoot for his willingness to study the then new technology of digital software writing and the internet more than ten years ago working alone, only with the help of his son, to develop a website which contains contributions from many researchers on Malay manuscripts. Dr Gallop gave the tribute when delivering a public lecture on The Language of Malay Manuscript Art: A tribute to Ian Proudfoot and the Malay Concordance Project organised by the Institute of Malay World and Civilisation (ATMA), Universiti Kebangsaan Malaysia (UKM) today. ATMA Director, Professor Dr Abdul Latif Samian gave the opening remarks. Also present was Dr Proudfoot’s widow, Yook Proudfoot and their children. Dr Proudfoot had been a Visiting Fellow at the Centre for Culture, History and English at the College of Asia & the Pacific, Australian National University (ANU), the University of Malaya (UM) and the National University of Singapore (NUS). Dr Gallop said Dr Proudfoot’s service was also evident in his success in creating a computer software in 2006 that could change early Islamic calendar from Southeast Asia to the modern system to track the dates written in the manuscripts. Before the use of the Gregorian calendar, the Malays did not have a uniform system of recording dates and time. The software, dubbed Takwim, is used in a web browser to convert the Javanese, Malay and Western calendars between them and to find the equivalent in the Islamic system of Rukyah, based on the sighting of the moon in determining the important dates in the Islamic community. The software is available in CD-ROM with his book Old Muslim Calendars of Southeast Asia. Earlier in 2002, Dr Proudfoot created a software named Ahad, to be used with a macro in Microsoft Word to convert Islamic and Christian dates and vice versa. In his efforts to collect data about ancient Malay manuscripts, Dr Proudfoot also scanned early Malay printed materials, the oldest of which is derived from 17th century Acheh in northern Sumatra. The Malay Concordance Project (MCP) was set up initially in a beta test run in 1997 and received rave reviews from all over the world when many academics contributed manuscripts for free. Only one condition is placed on researchers and even enthusiasts who want to use the material; that they cite the reference source, the MCP, in their research papers. Since the death of Dr. Proudfoot due to cancer last year, the MCP website reverted to the ANU with all its copyrighted material. He reportedly was still working on uploading copies to the MCP two weeks before he died. The MCP contains many known manuscripts and printed materials from the Malay-speaking SouthEast Asia. It published the text of the oldest known Malay language document written in Jawi, the Batu Bersurat and transcribed it to the Latin alphabet. It is a slab of stone with an inscription from Terengganu carved in the 14th century AD. It was discovered by a British civil servant nearly 90 years ago. The MCP also translated it into English for ease of reference. The MCP also contains articles from printed pamphlets and newsletters of the 19th century and newspaper editorials from the 1930s. 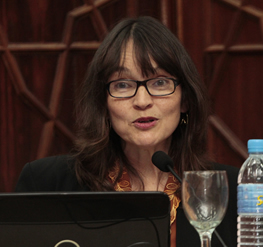 Dr Gallop said without the MCP, it would be very difficult for anyone researching the Malay language to find reference materials on ancient Malay manuscripts. Before the MCP, the search for manuscripts involved a very tedious series of steps such as making applications to many university libraries around the world and writing to private collectors. There were also manuscripts kept in the private collection of millionaires and not exhibited publicly. A researcher in Malaysia or Indonesia, for example, had no choice but to request a copy from many sources overseas – if at all they knew whom to ask from – as the most important documents of the Malay language are still kept in Europe. With the availability of MCP, a lot of old writings stored in private hands, can be viewed on the internet. Dr Gallop is the Head Curator for Indonesian and Malay in the department of the South and Southeast Asia (SOAS) section at the British Library, London. She was also one of the Editorial board members of the journal ‘Indonesia and the Malay World’, based at SOAS, University of London and committee member of the Association of South East Asian Studies in the UK (ASEASUK). Her main research interests are in Malay manuscripts, letters, documents and seals, and the book Arts of Islamic Southeast Asia. She is also interested in the manuscript culture of Brunei, Malaysia, Singapore and Indonesia. Her Ph.D dissertation (School of Oriental and African Studies, University of London, 2002) was entitled “Malay Seal inscriptions: a study in Islamic epigraphy from Southeast Asia”. She is currently involved in the publication of a catalogue of Malay seals. 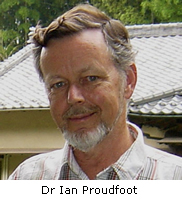 Dr Proudfoot (1946-2011) made ​​thorough research into literacy, printing and colonial education in nineteenth-century Muslim Southeast Asia. He also analysed Classical Malay manuscript literature and philology. He wrote extensively about early Malay divination, sorcery, time-reckoning, calendars and the idea of Malay science. He obtained a Bachelor of Arts with First Class Honours at ANU in 1967 and was awarded a PhD also from the ANU in 1977, about the history of Indian religions in SouthEast Asia. Some of his colleagues and students back from his time at UM and NUS remembered him as being quite affable and humorous, always willing to help others and telling tall tales to a bemused audience. It was with some irony, but with a lot of tongue-in-cheek, that he used the pseudonym “Encik Kaki Sombong” (Mr Proud Foot).